Summer is not just the season to go to relax and enjoy the beach, it is also the time where kids and kid-at-heart enjoy their time at home exercising their artistic skills. My son has a big interest in drawing that's why I encourage him to draw whatever he wants. I buy art materials that he will use in creating his masterpieces. Unleash the artist in you! 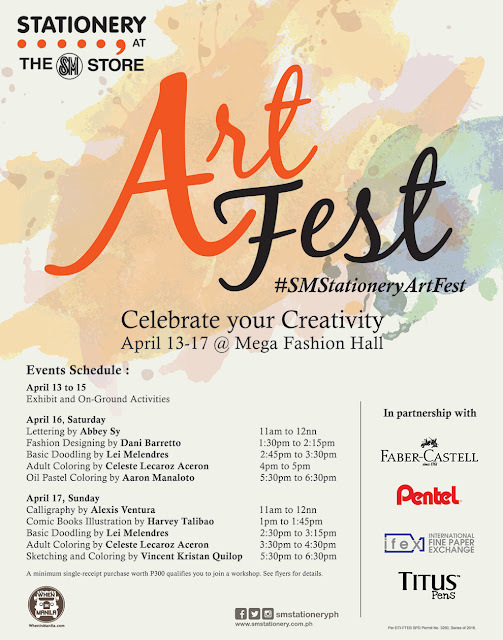 Join us at the Mega Fashion Hall on April 13-17 for days of fun artsy-fartsy activities! 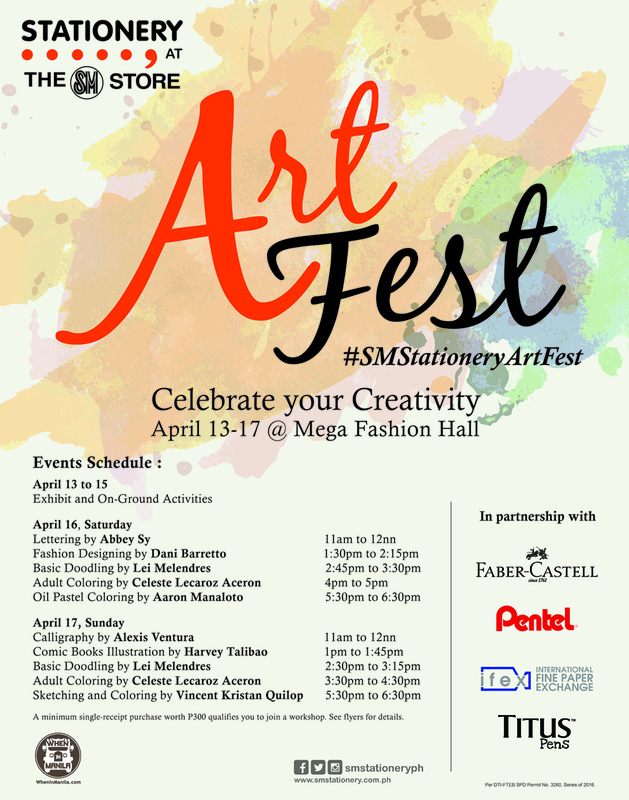 #SMStationeryArtFest. 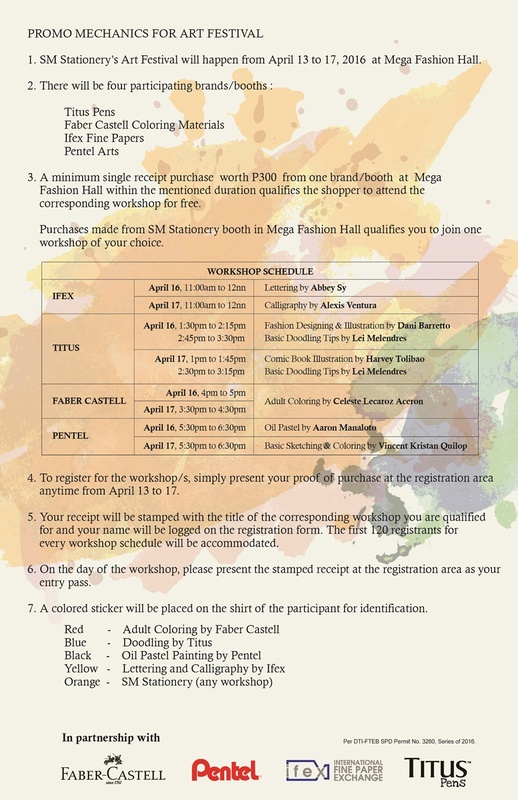 A minimum single receipt purchase worth P300 from one booth at Mega Fashion Hall within the mentioned duration qualifies the shopper to attend the corresponding workshop for free. Watch the video below :) See you there!